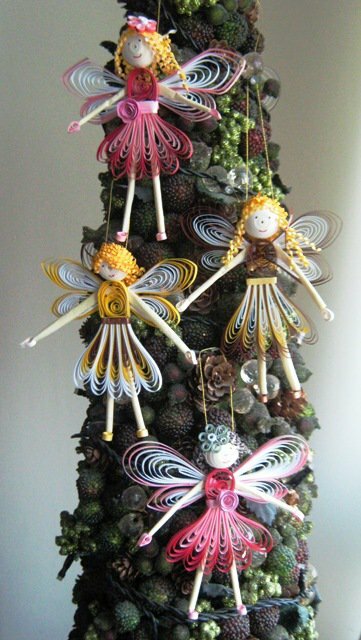 Down here is a Quilled Miniatures - Angels & Fairies to hang around in our tiiiinnnnny Christmas Tree and to sample them everytime we have an ARTE Soukh. 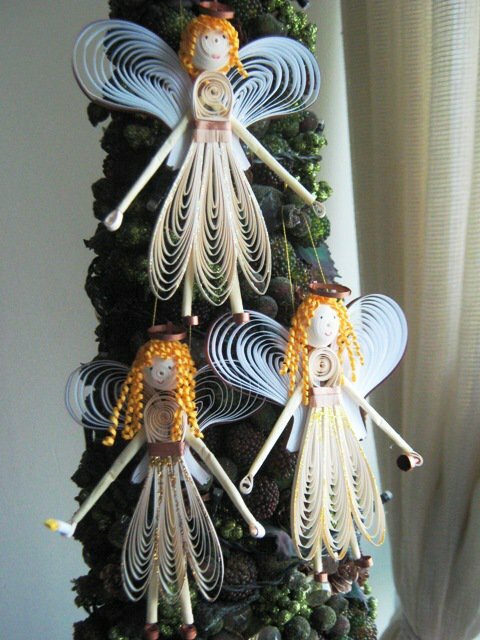 I've used 1/4" paper strips, color ivory, pink shades, gold, brown & yellow for the body, & face and white for wings w/ gold at the end, for the hair its 1/8" paper strips, arms & legs are paper tissue. Hope you like it as much as I do while makin them.